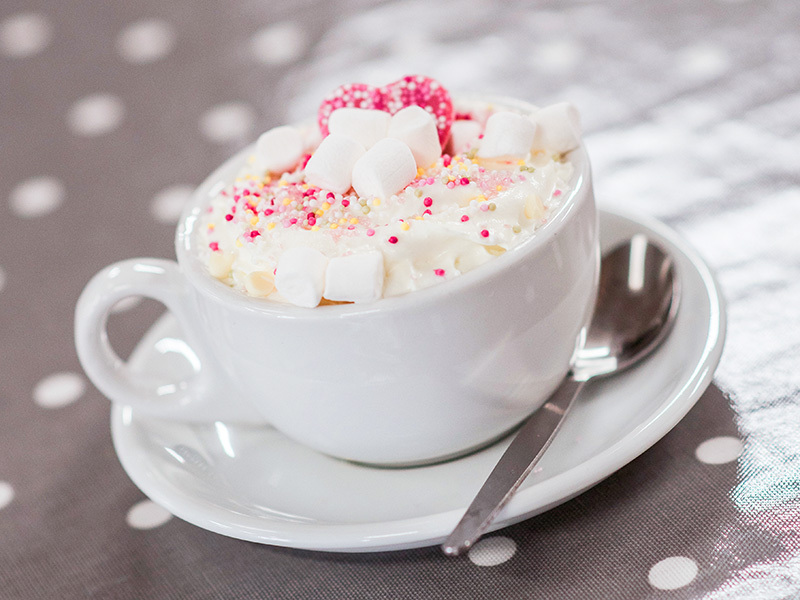 We offer delicious "proper" coffee, teas and hot chocolate, soft drinks and juices for children. 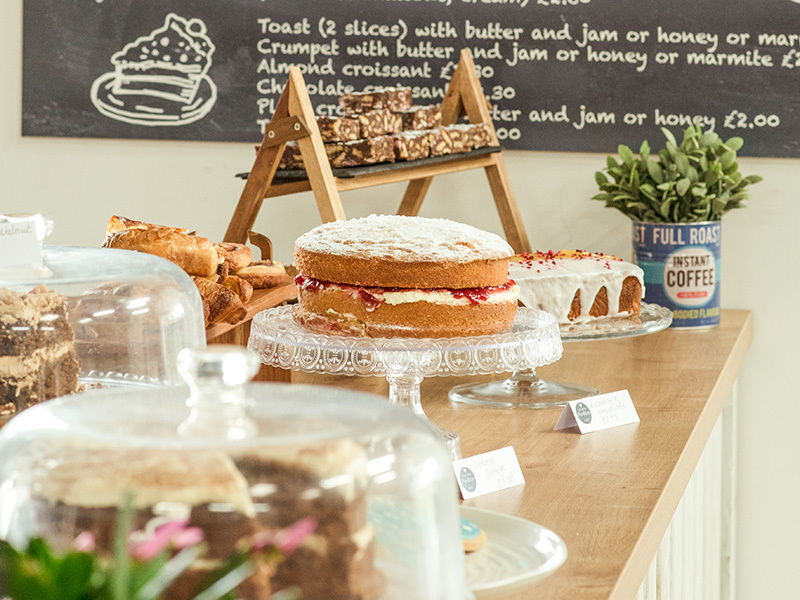 All our cakes our homemade and we have a Breakfast and Lunch Menu, which includes children's options, Vegetarian and Gluten Free. As well as great drinks and great food, we also have a safe, clean play area for children and also vast outside space (fantastic for summer picnics!) and outdoor play toys and a playground. There is also a Mother and Baby Area, Changing Facilities and lots of space. We can host children's parties, birthday parties, hen-dos, weddings and special events! Langton mum of two Emma Howden had often walked through Langton recreational ground and thought how good it would be to have a café for the community. Now Emma’s experience of running her own floristry and events business, it has now become a reality. My main aim is to work with the customers to create something that everyone can enjoy. “I am so passionate about creating a place which becomes the heart of the community, bringing everyone together from all walks of life. “We provide top quality ‘Proper’ Coffee, all our cakes are homemade with a simple but delicious menu which is all freshly cooked on site. We have a safe children's play area and baby changing facilities, so mums can relax and enjoy a chat, coffee and cake whilst their little ones are happily playing. The cafe will also be running a host of different events and activities from kids crafts to Mum’s beauty evenings. Watch our events page for regular updates. 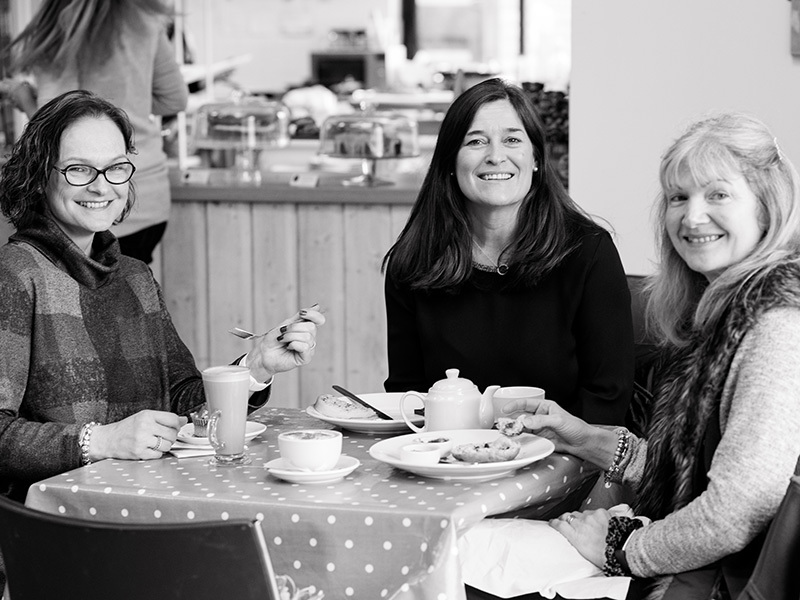 Although I can be slightly bonkers, I am full of passion for the cafe, I aim to please not only my customers but also my staff to help to create a happy, friendly, welcoming environment. With a creative mind i aim to bring constant new ideas and events and create something for everyone within the community. Keeps us all laughing, keeps us all talking, brings a complete sense of madness and fun to us all. She loves the kids play area and gets real fulfilment from tidying the toys. She would talk and talk and talk so if you want a chat she's your girl. Another blonde beauty! Creative Director, brings style, beauty and loveliness to the cafe. Fantastic at brining new creative ideas. A women of many talents. Loves emptying the nappy bin and keeps Jimmy happy with his burnt tomatos! Also a fantastic photographer and has taken all of the professional photos on this website: Please contact her on micmac116@sky.com. A blonde Bombshell, Slightly bonkers, Barista and coffee expert (if not a little posessive of the coffee machine!) Fabulous in many ways. Also likes a bit of bleech. Our Spicy little Ginger Nut, an all round funny, lovely lady, keeps us all laughing with her honesty. Keeps us all sane! (well she tries!) Calms the madness, fab in the kitchen and very good with the Olive Oil!